Zen Studios, the master maker of pinball tables, will offer a free treat by Halloween for all Pinball FX2 owners. Anyone who picks up the free Pinball FX2 platform on Xbox Live can get the Paranormal table for free from Oct. 26 to Nov. 2. Paranormal's setup involves "solving" a series of supernatural phenomena served up by a "rotatable mini playing field." Mini games, supernatural events, time portals and floating objects all are features of the playing surface. 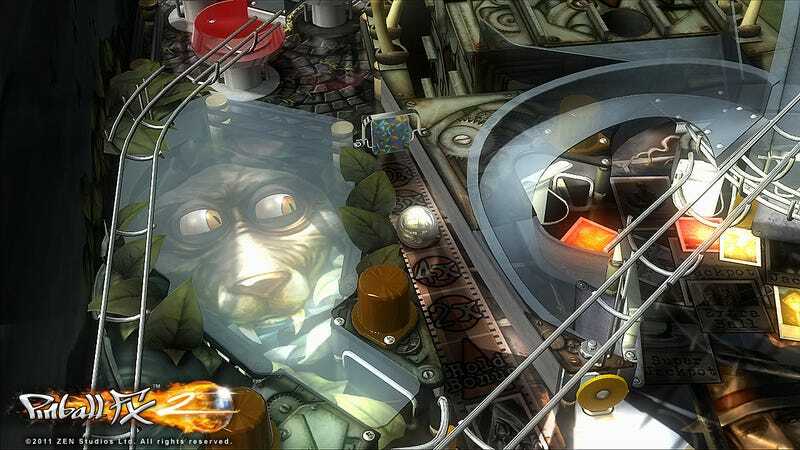 Over 22 offerings, to date, in the Pinball FX series, Zen has exploited the limitless possibility offered by a virtual pinball table while still grounding the experience in realistic physics and orthodox pinball gameplay. It's one of my favorite games of the year.